Arsenal manager Unai Emery has reportedly left youngster Matteo Guendouzi out of his 25-man Premier League squad. In a surprise turn of events, the French starlet qualifies anyway due to being an Under-21 player, so is not considered part of the senior squad, as it were. This is according to the Daily Mirror, who provide the full 25-man list submitted by the club after the close of the transfer window last month. Worried Gooners need not panic as it does not affect Guendouzi’s ability to play for them in the top flight after his fine start since moving from Lorient this summer. The 19-year-old looks a hugely impressive young talent and Arsenal fans will be glad he is still available for them after such a fine breakthrough in his brief time in England so far. 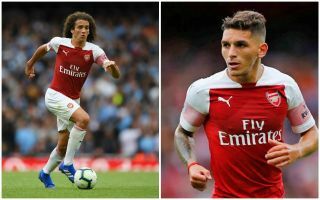 Arsenal’s other summer signings are also all in, with no shocks from Emery as he includes Lucas Torreira, Bernd Leno and Sokratis Papastathopoulos. The Gunners haven’t made the most convincing start under their new manager, winning two and losing two of their first four Premier League matches. In fairness to the Spaniard, however, he was dealt the unlucky blow of facing champions Manchester City at home and Chelsea away in his opening two games after replacing the legendary Arsene Wenger this summer. Arsenal have since beaten West Ham and Cardiff City, showing some improvement under the new man in the dugout.